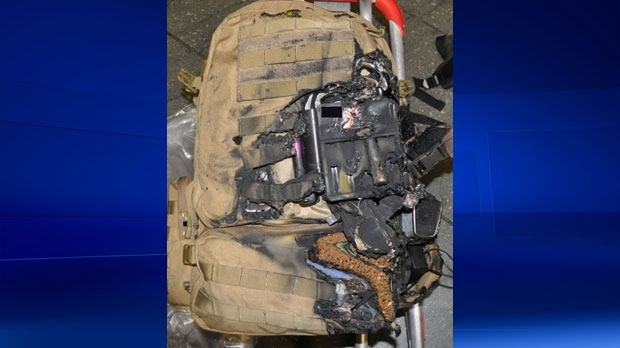 A report from the Transportation Safety Board says the fire that broke out on a WestJet plane after takeoff from Calgary last June was caused by a set of spare e-cigarette batteries in some checked baggage. The flight, bound for Vancouver, had just taken off on June 14, 2018 when the crew was alerted to a fire in the cargo area of the plane. The issue resulted in the flight being forced back to Calgary, where it touched down safely 10 minutes later. There were no injuries as a result. 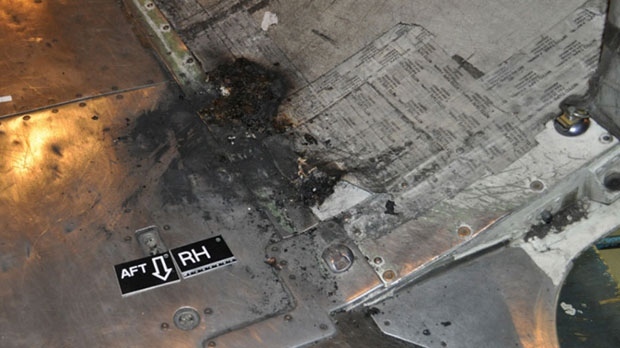 The TSB underwent an investigation into the incident and released the results on Friday, saying a backpack in the plane’s cargo area had caught fire and burned the compartment’s fire-resistant liner. The TSB says the passenger, a frequent business flyer, was aware of the restrictions regarding e-cigarettes and lithium-ion batteries in checked baggage, but inadvertently left two spare batteries in his bag. According to aircraft rules, e-cigarettes are permitted in carry-on baggage but cannot be used on board. Additionally, the batteries must be removed to prevent any accidental activation and must be stored separately. Exposed terminals can also be taped over to avoid the risk of fire. The findings of this report serve as an important reminder to the travelling public about the shared responsibility to follow published baggage restrictions. As portable electronics continue to gain popularity, it’s essential that guests review baggage policies when prompted at the time of check-in and are aware of what they pack for the safety of our guests, crew and aircraft. As safety is always our top priority, we commend our crew for their actions and safe landing of WestJet Flight 113 from Calgary to Vancouver after they were alerted by a fire indication light in the cargo hold on June 14, 2018. The Canadian Air Transport Security Authority says it is also aware of the report, but provided no further comment on the incident. In 2016, Transport Canada issued an alert about the dangers associated with e-cigarettes and their batteries. There is a risk of fire or explosion because of the high temperatures they generate.